The French art gallery Dubai is located at Al Wasl Road, Jumeirah 1 in Dubai and is keen to work untiringly to bridge the cultural exchanges taking place between Dubai and France. Authentique Art and Design provides a platform to artists who are famous or still in the process of attaining fame to showcase their creative collection at this French art gallery that draws countless visitors from all walks of life. The artists showcasing their work at the gallery are mostly of Arabian and French descent. Bal Masque’ was a solo exhibition by Suzi F. Nassif that took place from 17th February to 17th of March this year. Her breath taking paintings focused on depicting real expressions observed and captured by the artist. She also painted live from 2:30 pm to 5 pm during the event. Art lovers got a chance to meet the artist and explore her paintings. Many celebrities from the media world including TV presenter, Lara Tabet were also spotted at the event. Her particularly noticeable painting, “I am the master” got immense praise and appreciation from the viewers to the point that an art lover was spotted crying by the artist while observing the painting as according to him the painting seemed to be speaking to his soul. This left both the artist and the viewer speechless. Art surely hits the heart and stirs emotions like nothing else can. The event became extremely popular among visitors from budding artists to art collectors. Suzi F. Nassif showcased her wonderful work at World Art Dubai exhibition held at Sheikh Saeed hall 3 from 8th of April to 11th of April. She showcased her art work at Booth A4. The event is a great proof of promising commitment of the region to the world of art and the phenomenal success of event indicates that Dubai is a home to art lovers and ingenious artists. 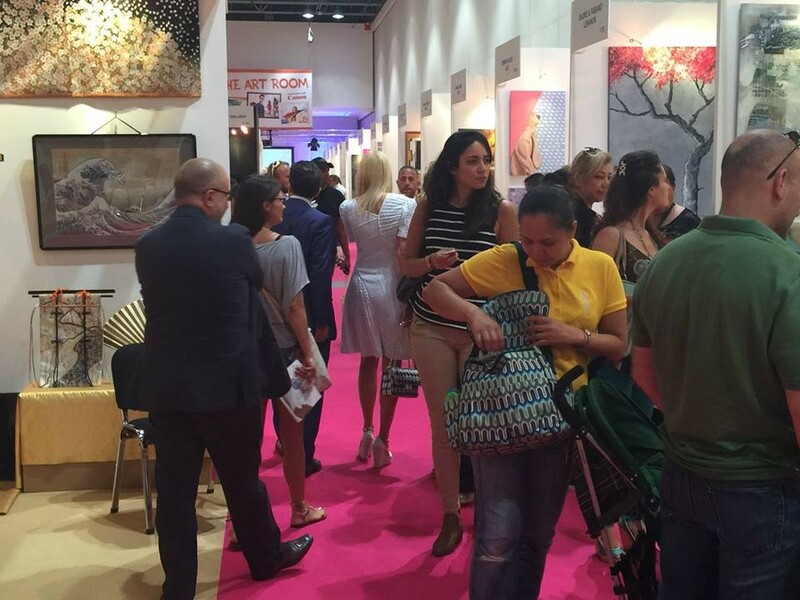 World Art Dubai gave an opportunity to all the gallery owners, art collectors, regional and international artists to meet and collaborate under one roof. The event showcased artwork from paintings and sculptures to ceramic and glass works from notable artists all over the world. The event particularly helped aspiring artists to expand their horizons and get motivation to come up with remarkable art work in near future. The exhibition was free invitation to explore and appreciate known and unknown artist galleries. The event further gave an opportunity to attend free lessons, watch films and have a look at art activities. Event showcased highly acclaimed art pieces from a Korean artist that gained massive attention. An exceptionally creative artist, Garsot from Greece also showcased his art work at the event. A particularly captivating work of art was by Christian de Wulf that raised inquisitiveness and curiosity among the visitors. Natalia, a brilliant artist from Argentina also presented nature inspired art work that was highly unique. The event was destined to be successful as it was a sure treat to art lovers. The courtyard gallery started back in 2000 and played a crucial role in helping Dubai grow in terms of art and be known as a home to finest artists ever known. The preeminent art gallery has grown immeasurably throughout the fifteen year journey and has showcased art work from most intellectual artists of the region and the world. It takes pride in being the first ever art gallery to open in Al Quoz industrial area. Courtyard gallery introduced many artists to the Dubai region who are now prominent artists known internationally. Courtyard gallery and art connection took place in 2008 from November 10 to November 20. It was the fourth edition of their exhibitions titled as “Women in art”. It enabled female artists from different cultures to showcase their art work from paintings to jewelry. The exhibition presented work from 17 talented female artists including Suzi F. Nassif from all over the world. The exhibition was a huge hit amongst the regional people who admired the work of art by the female artists. Courtyard Gallery and art connection presented their 9th annual exhibition of “Women in art” series that was an instant hit. The exhibition showcased female artists’ creation from handmade jewelry to paintings of oil and acrylic medium. The art work exhibited huge elegance and remarkable creativity that got high appreciation. It gave a wonderful opportunity to 16 highly brilliant artists from 11 different countries to offer art work that traced their traditions. 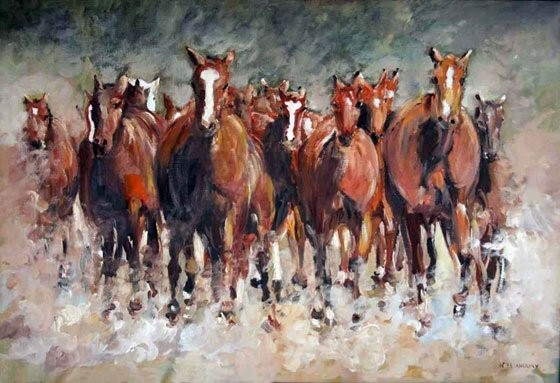 Suzi F Nassif also presented her noteworthy paintings at the exhibition and gained high admiration. The event took place in November 2013 and ended at the peak of success. The other notable exhibitions of courtyard gallery include pop wall exhibition and summer exhibition.